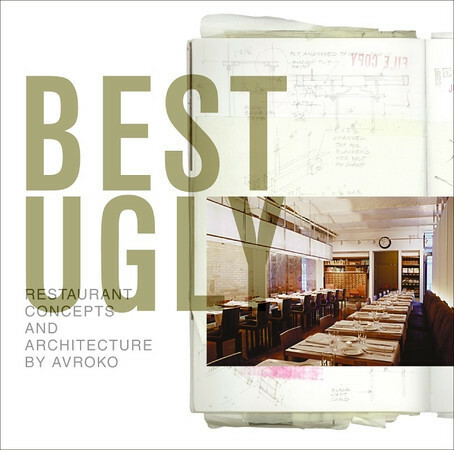 JStephenYoung.com - Architecture + Interiors + Travel Photographer: Stephen Recommends - "Best Ugly - Restaurant Concepts & Architecture by AvroKo"
Stephen Recommends - "Best Ugly - Restaurant Concepts & Architecture by AvroKo"
Partners Greg Bradshaw, Adam Farmerie, Kristina O'Neal, and William Harris founded AvroKO because of their "collective obsession with meaning. They research every cultural nuance and social context until they reach a thorough understanding of the psychological concept of a project." "Best Ugly" may be compared to the more familiar term, "Wabi Sabi" which is an Asian reference to the beauty of imperfection. Best Ugly is about something that feels right but for reasons that are not obvious. My favorite example of this is AvroKo's design of The Stanton Social, a restaurant at 99 Stanton Street. While paying homage to the clothiers of the Lower East Side, the team chose to avoid the obvious. They collected period images and samples from vintage shops and flea markets seeking "elements of the feeling" rather than blatant representations. You won't find the space adorned with antique sewing machines or similar kitsch. It is noticeably tactile, evoking the "life of another era, and yet avoiding any outright nostalgia." Upon entering you'll soon notice an impressive wall of wine that seems vaguely familiar. Its design was inspired by herringbone fabric. Patrons are not likely to recognize this while dining but they're almost certain to leave with a subtle, perhaps subliminal connection to the space. Thank you Greg, Adam, Kristina, William, and the rest of your team for the inspiration. Enjoy over 2 dozen pages of "Best Ugly" here.